On September 24th, FountainBlue held its annual virtual worlds conference. 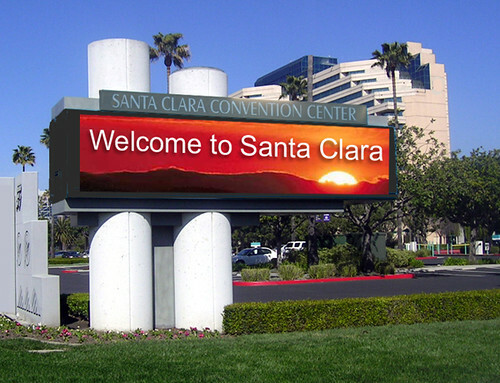 This year’s event was hosted on Cisco’s campus in Milpitas, CA. The event was attended by entrepreneurs, intrapreneurs, investors and virtual worlds practitioners. Several virtual worlds entrepreneurs spoke on the scheduled panel discussions and a few set up stations to demonstrate their technology. I’d like to highlight 3 virtual worlds technologies that caught my attention. RocketOn takes my “Best in Show Award” for most innovative virtual worlds technology. While Facebook and Twitter have propelled social networking to mainstream adoption, surfing the web is still a solitary experience. While many web sites have added community features (e.g. membership, comments, Facebook social graph integration, etc.) – it’s still the case that when I browse my favorite content sites, I have no idea who else is reading the same page at the same time. RocketOn seeks to change that. Using a Flash layer placed on top of web pages via an i-frame, RocketOn users can create their own avatar and have them walk atop any web page. They can then see other RocketOn users who may be visiting the same web page. Perhaps you’re reading a movie review and happen to bump into a friend, who’s reading the same review. You decide to visit a site that hosts a trailer for the movie, so you both navigate to the trailer site, watch it there and continue your chat. One of the captivating features of Foursquare is the ability to see who else is at the same physical location as you. RocketOn has built a similar feature for the entire web. While the service is focused on a consumer audience initially, imagine how this technology could be used in a corporate setting. Browsing your company’s intranet could become much more productive and engaging. Now, water cooler conversations could occur online, as you bump into colleagues at the employee directory page (rather than the kitchen). I admire technologies that flip conventional models upside down. While we visit virtual worlds from the real world, Zenitum seeks to have virtual worlds elements visit us in the real world. CEO Albert Kim receives the “Jetsettter Badge”, having attended the conference from Zenitum’s home base in Seoul, Korea. When publicly released (later this year), Zenitum’s technology will be supported on iPhone, Android and Symbian. Zenitum will provide their app and an SDK (software development kit) for free. They are encouraging widespread adoption of their technology – consumers use their app and device manufacturers develop services using their SDK. Zenitum will monetize their service via advertising (“augmented advertising”, perhaps). When you run the app, your smartphone scans your surroundings, attempting to recognize images. If it finds a match, Zenitum overlays a 3D animated object on top (or around) the real world object. For example, let’s say a comic book publisher is running a campaign and loads an image of a comic strip into the Zenitum platform. The same image is on a billboard on a city street. When I walk down that street with the app running (and my smartphone positioned properly), Zenitum detects the comic strip image. It then inserts animated 3D objects (perhaps other characters from the comic strip) around the real world object. As I move my phone left, right, up and down, the animated objects adjust their positions accordingly. Imagine the use of this technology at a museum – as you walk past a painting, its “virtual artist” could appear on your phone and speak to you about the inspiration behind the work. At a trade show or conference, walking down an aisle could cause executives (virtually) to spring up and give you a brief pitch about their product. Neat stuff – I hope we’re able to keep the distinction clear, though, on what’s real and what’s virtual! Digitell uses the ActiveWorlds 3D platform to bring you hybrid meetings, virtual events, virtual communities and webcasts. Jim Parker, Digitell’s President, notes that a common client of his service is associations, who want to extend the audience for their annual meetings. Parker notes that the immersive experience of Digitell makes attendees “feel like they’re there” (at the physical event). Parker’s clients who run these hybrid events often charge the same amount on virtual attendance as they do for the on-site event. In this way, the common objection of cannibalization goes away, as the virtual component generates additional audience – and additional revenue for the meeting organizer. Dispelling the notion that virtual worlds are for the younger generation, Parker notes that the average age of a Digitell user is 44 (wow!). Users are so passionate about the experience that they often comment, “when’s the next event, I want to use my avatar!”. Parker has created 3D replicas of museums, which allows students (across the globe) to visit and experience the museum’s works, without having to be “bused” to the physical building. Imagine how easy it would be to have a virtual guide take students on a tour of the museum’s main works, any time of day, with students participating from all over the world. While the term “virtual worlds” has a negative connotation in the minds of many, it hasn’t stopped innovative entrepreneurs from developing new and exciting services. It will be interesting to watch each of these technologies to review their adoption, growth and monetization. Previously, I provided tips on selecting a virtual event platform. In that posting, I covered team, technology and customer service considerations for selecting a platform. Now, I’d like to cover the very important process of planning your virtual event. A successful virtual event originates with a sound, strategic plan – one that’s researched, developed and documented well before the topic of platform selection is even broached. Virtual events involve technology – however, as with physical events, it’s about the experience first. Technology, while important, is there to provide the means to address your experiential goals. Get the planning done right and technology decisions will fall out naturally from there. A virtual event planner must act like a product manager – to build the best “product” (i.e. event), you need to first understand your target audience / target customer. Product managers need to employ “customer empathy”, while virtual event planners need to employ “attendee empathy”. Product managers develop user personas – profiles of different users of the product. Similarly, you ought to create attendee personas. Are they inclined to experience an event virtually? What topics/subjects are they most interested in? What online sites do they frequent the most? When they’re not online, what are they doing? How do they prefer to interact with one another? What would prevent them from interacting, engaging, etc. online? What is their preferred form of reward (e.g. recognition, money, etc.)? There are many more questions you could ask. Understanding your audience is one of the most important planning steps, so make sure you invest the right amount of time and energy here. When done, document your “audience profiles” and share the document with your extended team. Ensure you’re all on the same page with regard to your target audience. The virtual event never happens if you’re not able to pay for its costs. Are you an association that aims to fund the event with association or per-event fees? Are you a non-profit organization who submitted a bid for a grant? Or, are you a B2B publisher who aims to fund the event by selling sponsorships at a virtual trade show? For virtual trade shows, identify possible exhibiting companies and forecast the amount of revenue you can generate from the sponsorships. Review past events you’ve produced (whether physical or virtual) – and, review competitors’ trade shows to see which companies are exhibiting at them. Regardless of the scenario, ensure that your funding model is identified – and, that the funds are “firm”. It does you no good to spend a month profiling your target audience, only to have that work go to waste when you’re not able to obtain funding for the event. If possible, seek to have your funds secured before you begin the subsequent planning steps. There are many types of virtual events: virtual trade shows, virtual career fairs, virtual product launches, etc. Chances are, you already have a format in mind and that’s good. Following that, however, you ought to consider the additional details of the design, style and personality of your virtual event. The most direct (and cost effective) approach is to select from the pre-existing “event templates” of your virtual event platform provider. They’ll allow you to select a theme from their template library and you can apply customizations on top of the base image. While this approach is time and cost efficient, keep in mind that it’s more challenging to distinguish your event, especially if your competitor uses the same platform and selects the same theme. If you have the budget (and time) to create a unique experience, consider the venue and theme – a virtual experience is not bound by physical space limitations (or, by gravity), so there are endless possibilities. Do you want an outer space experience? Perhaps not, but that’s possible if you so choose. If budget allows, consult with a creative agency or design firm – you’ll first want to “storyboard” the event experience in the same way you’d map out a new web site. In addition to event components, storyboard the user journey and user experience – map out how you’d like attendees to move through your environment. Virtual events no longer need to be focused around the session schedule – as you can see from the list above, many content formats are available – and some are more effective at engaging and involving the audience. Who knew that virtual event planning would be similar to wedding planning? With regard to date selection, your first step is “conflict avoidance”. You want to eliminate important dates within your organization (e.g. the date of your annual customer conference) – as well as important dates within your industry. Then, review competitive events and related events in your industry, as you want to avoid those too. Finally, consider seasonality dependencies, such as the December religious holidays or the week leading to Labor Day (in the U.S.), during which many families with school kids are out of town. Once you’ve done the “elimination” of dates, consider events or occasions that would work well for your event – you might want to plan your virtual event around an existing physical event of your’s – or, plan for event around a key product launch you have scheduled two quarters from now. Single-day events are the most common today. Your event, however, should have a duration that’s driven by your goals and objectives. For instance, if you have more content than can be consumed (or scheduled) in a single day, consider the multi-day event. If your event is based around an ongoing game, with points accrued over days (or weeks), then the game parameters will dictate the event duration. For multi-day events, be sure you have an audience engagement strategy in place to incent Day 1 attendees to return for Day 2 (and Day 3, etc.). In addition, keep in mind that multi-day events require staffing and support to be available for each live date, which adds hard and soft costs to the equation. Hold your horses! Technology is fun and exciting, but before you jump into that step, be sure to spend the necessary time and effort to complete the planning steps outlined here. In the end, you’ll be rewarded with a successful event. There’s no time like the present … to think about the future. I previously wrote about predictions for the virtual event industry in 2010 – those predictions were based around a short-term outlook and have a reasonable chance of coming true. Now, I’d like to weigh in on 2011 (and beyond) and discuss where the industry (and the technology behind it) may be heading. Browser toolbars that encapsulate a subset of virtual event functionality (OK, we’re still within a browser here – so consider this an initial step only). Desktop applications – initially, these apps may provide a real-time dashboard for attendees, exhibitor or show hosts. You’ll get to keep tabs on activity within a virtual event without having to be logged into the event (from your browser). Subsequently, the apps will become more sophisticated and take on more of the virtual event platform’s features. Asynchronous alerting services – attendees, exhibitors and show hosts will be able to configure alerts that inform them of important activities. The alerts will have numerous transport mechanisms – email, SMS text message or social media notification (e.g. a direct message on Twitter). Related to “getting closer” to the end user, mobile is the “elephant in the room” for virtual events. The mobile apps will start off quite simple – think again of the dashboard app, which provides a real-time view of what’s going on within the event. Building onto the dashboard will be basic interactivity (e.g. text chat) – allowing attendees and exhibitors the ability to chat with others. An exhibitor, for instance, can now staff her booth “on the go” from her iPhone. As we look to 2011 and beyond, I see a clear shift in the computing landscape, whereby more and more “computing” moves from the desktop and laptop and on to mobile devices. In this decade, the smartphone becomes the PC of the past decade. The challenge for virtual event platform providers is to determine where to place their bets (investments) across iPhone, Android, BlackBerry, Symbian, Windows Mobile and Palm. This drive from corporations will cause virtual event technology to morph a bit, shifting from a 100% software as a service (SaaS) model to a hybrid model that combines SaaS with on-premise software. At first, integration points to a company’s enterprise apps may reside “on premise” on corporate servers – subsequently, corporations may require the underlying virtual event platform be hosted inside the firewall – a model that mirrors Linden Lab and their Second Life Enterprise. Virtual events and in-person events meet augmented reality – resulting in “augmented virtuality”. I previously wrote that 2010 is The Year of The Hybrid Event. There will come a day when every in-person event has a virtual component. With existing smartphone technology and the emergence of augmented reality – we’ll soon hit a sweet spot whereby in-person event attendees will wield enormous power in the palm of their hands. Physical event attendees will begin to experience an event through the lens of their smartphone – holding up the smartphone at any location and seeing overlays of relevant information. Augmented virtuality will blend augmented reality with the virtual event platform – elements of the virtual event appear as overlays on the smartphone (e.g. the virtual booth is layered on top of the smartphone’s view of the physical booth – and virtual staffers are displayed as being available [via the smarthphone] if the in-person staffers are busy). Based on the trends I’ve outlined, by 2011 (if not sooner), we’ll no longer refer to “virtual events”. Instead, they’ll have “grown up” and migrated into a broader category of business or collaboration application. Virtual event technology becomes a toolset in a larger ecosystem – or, they’re integrated into a broader suite of tools (rather than being a standalone solution). In a few years, these will no longer be your mother’s virtual events! The industry and technology will change, morph and adapt to suit the needs of the market. Let’s all be thankful that we’re along for the ride.